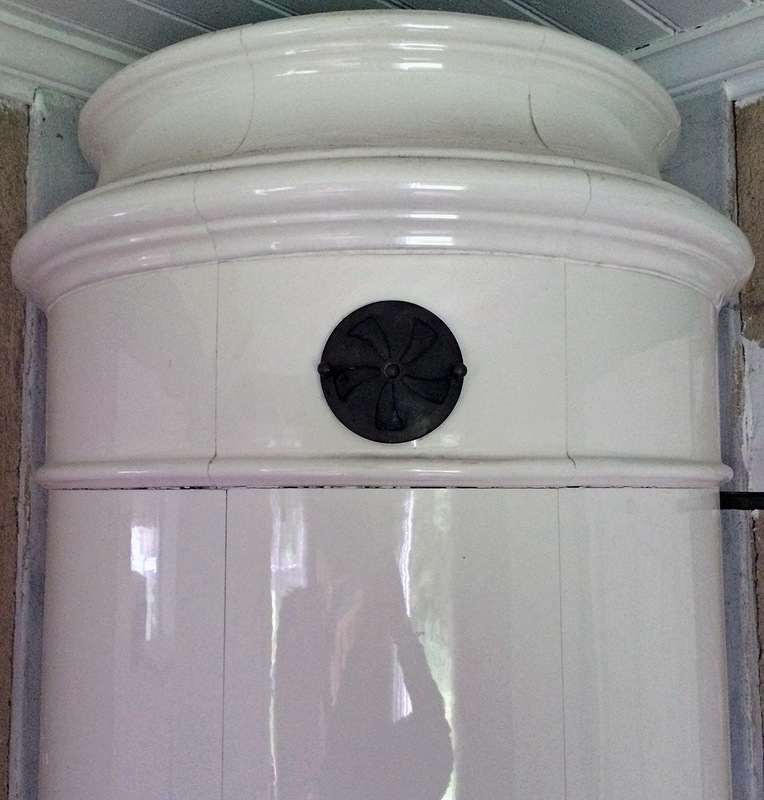 Round all white tiled stove with a design borrowed from the classical 18th Century stove. Made in 1910. Height 238 cm. Plinth diameter 75 cm.